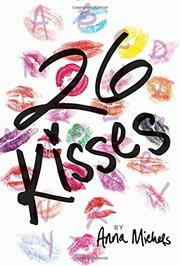 When her longtime boyfriend suddenly dumps her, a girl embarks on a mission to get over him by kissing 26 boys. Before even removing his cap and gown, Mark breaks up with Veda to be free from romantic entanglements in college. Veda is devastated, and it’s painfully clear to her best friends, Seth and Mel. Before Veda can waste her summer crying in bed, Mel formulates a plan to help her move on: Veda will kiss 26 boys, one for each letter of the alphabet. At first, Veda’s shocked, but soon she warms to the idea. It’s not long before she’s found a string of boys with names to fill her list. Along the way, however, she gets to know Killian, a boy who shares the same summer job and a penchant for George Bernard Shaw. He’s nothing like Mark, and his warmth and enthusiasm bring her back to life. As Veda’s feelings for Killian grow, so does her resolve to finish the challenge. She’s going to kiss the alphabet no matter how charming Killian is, no matter how it affects her reputation. Thwarted by a fluffy premise with too many boys with odd names, Veda’s story reads as contrived, stocked with a bland cast of characters with no notable diversity. But she eventually finds her footing and runs toward the person she needs to learn to love the most: herself.